It's an exciting Friday New Product Post – the SparkFun Edge Development Board is officially shipping! We also have a brand new LED Driver board, pre-orders on the new Taz Pro 3D Printer, two brand new and top-of-the-line digital flex sensors, and a few little parts for your next project. Your Edge is on the way! In collaboration with Google and Ambiq, SparkFun's Edge Development Board is based around the newest edge technology, and is perfect for getting your feet wet with voice and gesture recognition, without relying on the distant services of other companies. The magic sauce is in the utilization of Ambiq Micro's latest Apollo3 Blue microcontroller, whose ultra-efficient ARM Cortex-M4F 48MHz (with 96MHz burst mode) processor can run TensorFlow Lite using only 6uA/MHz. Apollo3 Blue sports all the cutting-edge features expected of modern microcontrollers, including six configurable I2C/SPI masters, two UARTs, one I2C/SPI slave, a 15-channel 14-bit ADC and a dedicated Bluetooth processor that supports BLE5. On top of all that, the Apollo3 Blue has 1MB of flash and 384KB of SRAM memory - plenty for the vast majority of applications. 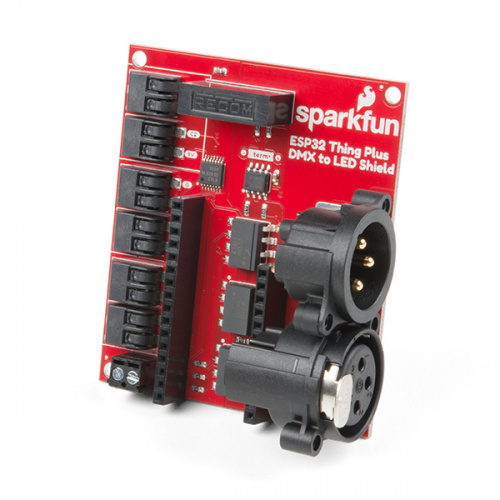 The SparkFun ESP32 DMX to LED Shield is the perfect way to send and receive DMX data. Whether it's coming in via the onboard XLR-3 jack or ArtNet, or outputting over the XLR-3 Jack/ArtNet, this shield has you covered! It's the perfect way to get started developing your own custom DMX fixtures, or even adding ArtNet capabilities to a current fixture. It also holds up to the DMX standard, which requires electrical isolation between the controller and communication side to avoid ground loops. The TAZ Pro is an industrial desktop 3D printer that provides large, multi-material and soluble support printing with LulzBot's award-winning reliability. Create high-quality, large functional prototypes and parts with easy, professional results. With a taller print area than the TAZ 6 and two extruder heads, the TAZ Pro is a major upgrade. The two extruder heads allow you to use two different colors or materials with similar melting points to create multicolor or multi-material objects. This configuration allows for clean and solid transitions between the two materials or colors. The upgraded electronics allow for more professional prints that run quieter. A 5-inch touchscreen, which replaces the previous monochrome LCD with wheel-selector, makes moving through the menus and adjusting settings incredibly simple. 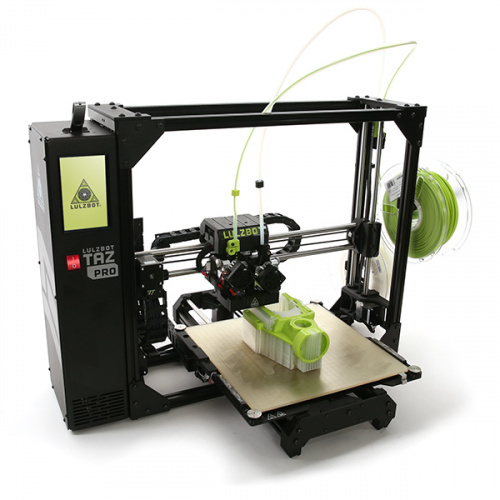 The Taz Pro 3D Printer is now available for pre-order, and we hope to start shipping from LulzBot by the end of April. The Bend Labs Digital Flex Sensors are an innovative solution for measuring motion, providing a unique alternative to existing sensor technologies. 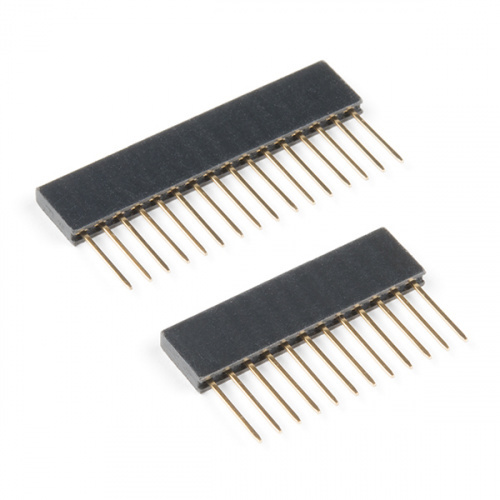 They are capable of highly accurate, drift-free angular displacement in a soft form factor, while maintaining extremely low power consumption. Constructed using highly durable, medical-grade silicone elastomers, this is a single axis bidirectional flex sensor, which measures one angle for 2D orientation, and a two axis bidirectional sensor, which measures two angles in orthogonal planes for 3D orientation. 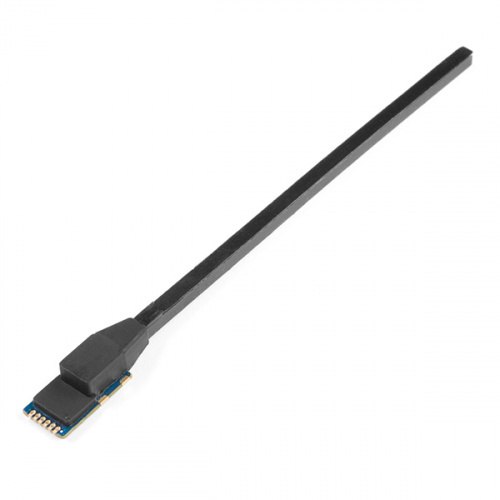 Its low-power, integrated analog front end, with I2C interface, provides angular displacement data in degrees and includes on-board calibration and bootloader. 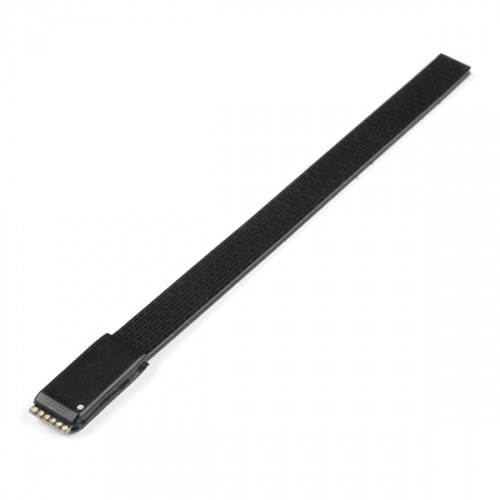 These stackable headers connect the SparkFun ESP32 Thing Plus to a shield with a Feather footprint. This set includes one 12-pin and one 16-pin header; the pins are spaced by 0.1". This is a 10-pack of wires that are pre-terminated with an alligator clip on one end and a female header on the other. 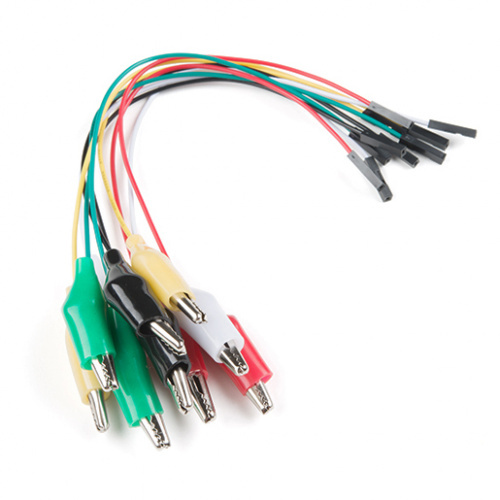 Alligator clips are a staple item for any workbench or makerspace, and with these cables you will be able to easily incorporate those clips into a breadboard, development platform or anything else to which you would normally be able to attach a hookup wire. I'd never heard of Art-Net, so I Googled it (actually trying "artnet"). FWIW, according to what Google found on Wikipedia, ArtNet (note no hyphen!) refers to a company Artnet.com that sells art, but Art-Net (with a hyphen) refers to the data protocol. Good news! You can find the guide here.